One of the passions of our family is cheese. 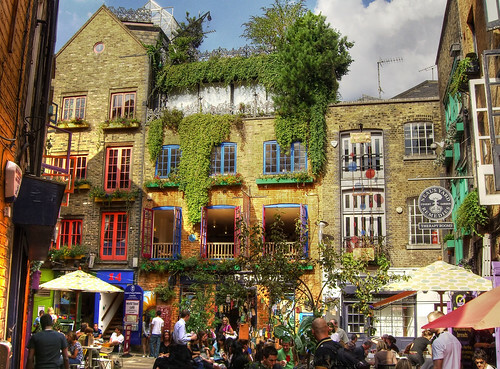 When we are in London we want to visit Neal's Yard which is about 2 blocks north of Covent Garden. 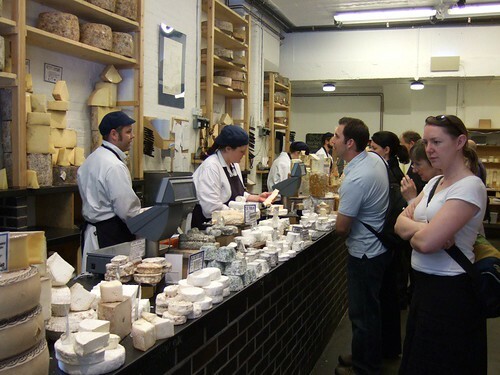 Neal's Yard is a combination of stores including a dairy, remedies, and organic cafe found at 2 Neal's Yard London. What first caught our eye was the architecture. It is a series of old warehouses turned into stores, restaurants and storage. The storefront on one side seems formal and bland. In the back alley the building has been painted in bright colors and lively decor. The cheese shoppe is raved about by foodies, especially their signature Stilton cheese. We love to expose our children to new foods and flavors. A unique way is to sample a couple of different types of cheeses. This is by no way an inexpensive venture. A pound of cheese will run you about £12.50.